The world we live in, wants peace! Particularly at Christmas! The world is unified around the concept of peace! However, the peace the world wants requires the manipulation of circumstances. God's peace, and peace with God, however, comes regardless of circumstances. We look in this video at the following things! How can we define true Peace? Look at a short history of Peace! Look at peace with God, other people and with ourselves! Right mouse click or tap here to save this Podcast as a MP4 video file. 1 John 4:16 We know and rely on the love God has for us. God is love. Whoever lives in love lives in God, and God in them. We live in a world that is in love with love. Love, according to some people, is what makes the world go around. In the Bible, God’s love is revealed. The Apostle John in 1 John 4 does not simply say that God loves, but rather that God is love. How is God love? How is God's love revealed today? How is that relevant to you? 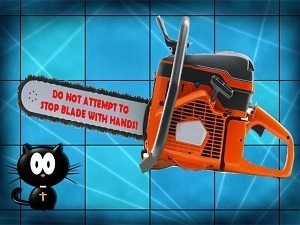 Play or download the video below to hear Alphy the WOWChurch cat explain more and how this affects you as a Christian in the 21st century! Today Alphie talks about being a disciple of Jesus Christ! What is a Disciple? How are you doing at being an active disciple or follower of Jesus Christ some 2000 years after he said those words? Come and listen to hear answers to these questions and more! Today Alphy shares about the WOW Word - Love! Mark 12:28-34: One of the teachers of the law came and heard them debating. Noticing that Jesus had given them a good answer, he asked him, ‘Of all the commandments, which is the most important?’ ‘The most important one,’ answered Jesus, ‘is this: “Hear, O Israel: the Lord our God, the Lord is one. Love the Lord your God with all your heart and with all your soul and with all your mind and with all your strength.” The second is this: “Love your neighbour as yourself.” There is no commandment greater than these.’ ‘Well said, teacher,’ the man replied. ‘You are right in saying that God is one and there is no other but him. To love him with all your heart, with all your understanding and with all your strength, and to love your neighbour as yourself is more important than all burnt offerings and sacrifices.’ When Jesus saw that he had answered wisely, he said to him, ‘You are not far from the kingdom of God.’ And from then on no one dared ask him any more questions." What is the response of a Christian to be to these words of Jesus? Play the audio, download the video or audio, to see what Alphy has to offer about this! The world we live in, wants peace! The world is unified around the concept of peace! However, the peace the world wants requires the manipulation of circumstances. God's peace, and peace with God, however, comes regardless of circumstances. We look in this video at the following things! Right mouse click to save this Podcast as a MP4 video file. Our WOW Word today is Christ! We are approaching the Christmas season. I wonder if you know what the word Christ means and where it comes from? The word Christ is the New Testament word for the Old Testament word, Messiah. So we look to the Old Testament first, in order to understand what the New Testament word Christ means! It was appended to His name in the New Testament, as a way of expressing who He was! 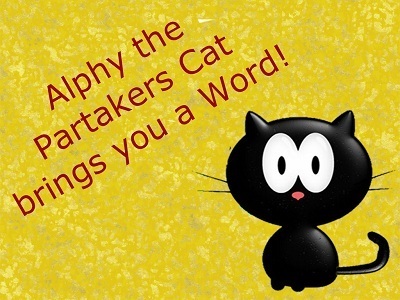 Play the video to discover what Alphiy the WOWChurch Cat has to say and/or download the file to take away! Bless ya! Play the video below and/or download it by right mouse clicking or tapping here to saving it as mp4 video file! 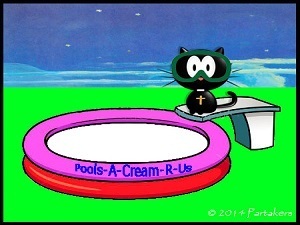 Today, Alphy the WOWChurch cat shares with us about temptation - what it is, what it is not, who, why, where? Come see and hear Alphy the WOWChurch Cat explain more!! Play the video below and/or download it by right mouse clicking here and saving it as mp4 video file! Today Alphy shares about the WOW Word - Prayer!! Ephesians 6:18 Pray in the Spirit at all times in every prayer and supplication. To that end keep alert and always persevere in supplication for all the saints. Play the video to see Alphy talking about prayer and its place within the life of the Christian Disciple!! the WOW Word - Truth! So what is truth? Truth in the Old Testament was used in two ways…. Firstly, facts may be either true or false – an intellectual truth. An example would be that Moses existed as a person. That is a true fact. Or it could used to define a characteristic of a reliable person, such as Joseph’s brothers in Genesis 42:16. These are also used to describe God as a true God, rather than the pagan gods belonging to the nations around Israel. Truth, or being true, is described as a characteristic of Yahweh, the God of Israel. He is consistently true and therefore trustworthy in all His ways. His loving care is trustworthy and seen in His dealings with Israel. In the New Testament, Christianity, is seen as Truth (Galatians 2:5; Ephesians 1:13)! Indeed Jesus said that He was the only truth, the only life and the only way to God. Jesus is the true bread and the true vine! Furthermore, truth is God’s word to be obeyed actively and not dismissed passively. What role does active truth and being actively true play in the life of a Christian? Truth develops character, Peter writes (2 Peter 1:3-9). The strongest Christians are those with a good growing knowledge of biblical truth. Since understanding the Bible increases your knowledge of God, it also increases the possibilities for love, growth and service. "Ignorance is the mother of superstition, not of devotion". "Truth combats error". However, for truth to be effective, it needs to be an animated truth. This is done by being a doer of the Bible and not merely a passive hearer. Your life as a Christian must be a balance of love and truth. Both coexist with each other and through your knowledge, service and faith in Almighty God, you will continually grow and be strengthened. As Christians, we are all instruments in the orchestra of God's joy. Does that describe your experience of joy? Let us ask ourselves at the very beginning what is joy? Is joy merely a form of bloated happiness as many people believe, including those in the church? Can joy be seen as going around everywhere with a silly grin etched into your face? That kind of joy is dependent upon circumstances and feelings! C.S. Lewis once wrote: "Joy is never in our power, and pleasure is. I doubt whether anyone who has tasted true joy would ever, if both were in his power, exchange it for all the pleasure in the world." True joy is not to be confused with mere pleasure or feeling good! True joy is to be a way of life and it is to permeate every facet of the person and not just the emotions! True joy is to be a deeper, inner joy whereby the source, object and target is to be God and God alone! What is joy and how can you experience such joy? Play or download the mp3 audio to hear more about joy and its place within the life of the Christian Disciple! !